Every Rose fan feels an inevitable twinge of sadness when this part of his career is mentioned. Everyone cites reasons, the chief of them being Thibodeau's eagerness to push his starters to the limit to his bad landings, whatever, the ACL tear and meniscus injuries he had continually troubled him. 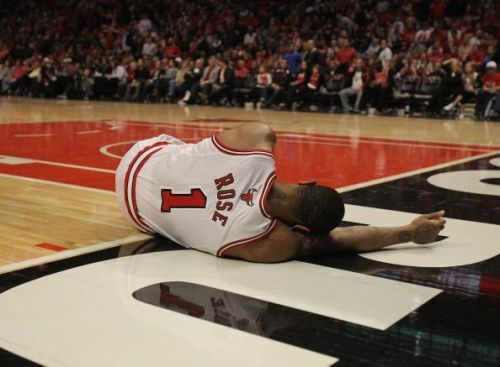 Then there was the ankle injury that hurt during his troubled time with the Cavaliers. This offseason, as he claimed, was the first time he could practice ball instead of rehabbing from an injury in seven years. The sad truth is that those injuries didn't take away time, they took away athleticism. His amazing vertical and blow-past-you pace was robbed by his hamstring injuries and cartilage wear and tear. 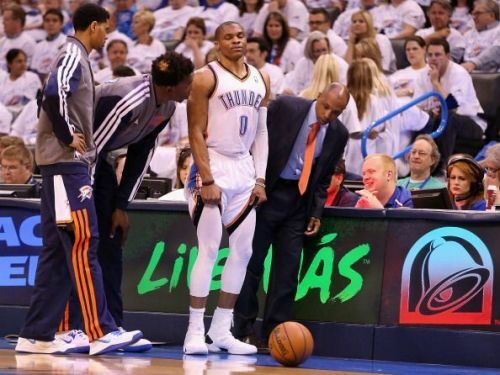 Westbrook, for all his explosiveness, relatively has not suffered any major injuries except when Pat Beverley took out his knees in 2014. After that, the injury bug hasn't really bitten him until this offseason, when he sat out the first five games and then had an ankle injury against the Pelicans. His game relies on one much known but equally unstoppable quantity: penetrate and either finish the dunk/layup or kick the ball to perimeter scorers. It's tough to imagine any center actually deterring Westbrook, since by the time they close in to block his dunk he's usually already airborne and coming at them at some serious miles an hour. NBA 2018-19: Does Derrick Rose deserve to be an All-Star?